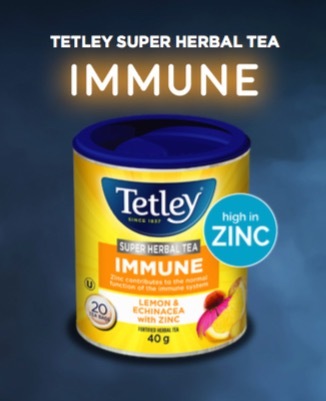 Recently, Tetley introduced its Super Teas, a new line of tea fortified with vitamins and minerals to provide the consumer with added health benefits. 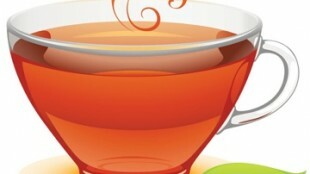 Tetley calls the new Super Teas line perfect for the busy, health-conscious tea drinker. Whether it’s to provide an energy boost or help stave off a seasonal cold, Tetley Super Teas provide Canadians with a simple way to help support their active lifestyle. an excellent source of Vitamin B6, which is a factor in energy metabolism and a factor in the maintenance of good health. According to Dietitians of Canada, B vitamins help your body use energy from food. 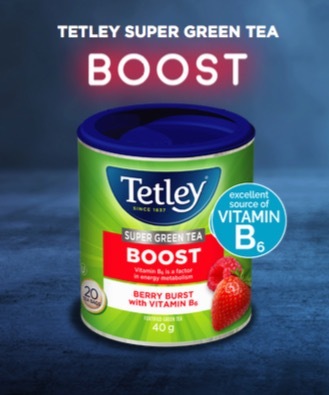 Each cup of Tetley Boost Tea contains 25% of the recommended daily intake of Vitamin B6. Ingredients: Green tea, natural flavours, raspberry, strawberry, Vitamin B6. a source of Vitamin C, which is known to have a myriad of health benefits. According to Health Canada, Vitamin C helps the body absorb iron, heal wounds and acts as an antioxidant. 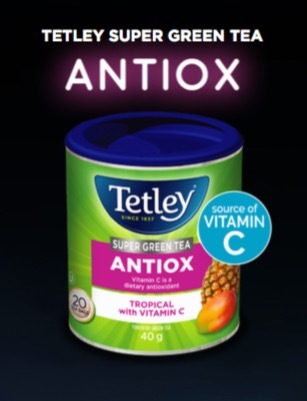 Each cup of Tetley Antiox Tea contains 25% of an adult’s recommended daily intake of Vitamin C – a dietary antioxidant that protects against the damage of free radicals. Its a tropical fusion of naturally-fruity pineapple and mango flavour, paired with green tea. Ingredients: Green tea, natural flavours, Vitamin C.
high in Zinc, which contributes to the normal function of the immune system. According to Dietitians of Canada, Zinc is a mineral that helps your body stay healthy – not only strengthening your immune system but also promoting normal growth and development at all ages. Each cup contains 20% of an adult’s recommended daily intake of Zinc, and consumers are advised not to exceed two servings/day. Ingredients: Lemongrass, lemon verbena, echinacea leaves, echinacea root, cinnamon, natural flavours, ginger root, liquorice root, lemon peel, honey granules (maltodextrin, honey), zinc gluconate. Tetley Super Teas are available at major grocery stores, coming in 20 round bags per pack.